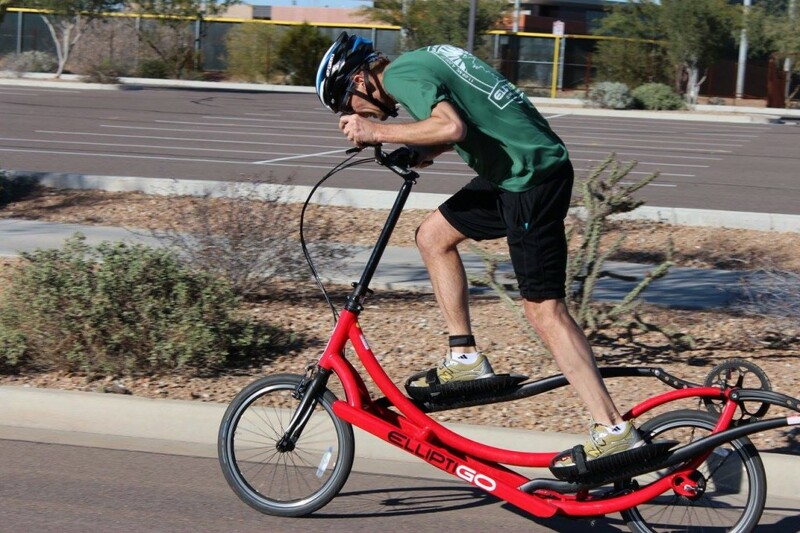 Our Goal was to ride 1,230km (764-Miles) on ElliptiGO Bikes – Within 90 Hours! 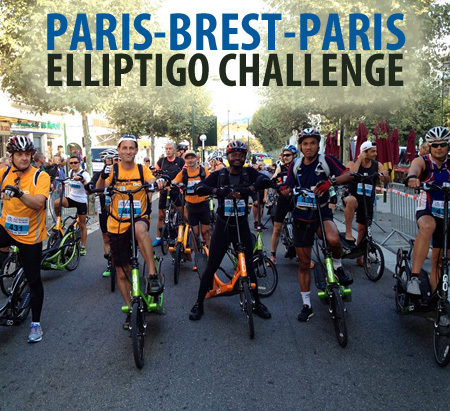 The progress of the ElliptiGO Ultra-Endurance Team – who are aiming to qualify for the 1,200km Paris Brest Paris (PBP 2015) Audax cycling challenge – can be followed on this page. In order to qualify for PBP 2015, each member of the team is tasked with completing a 200km, 300km, 400km and 600km Audax qualifying ride (within the standard Audax time limits for each distance). The time-limit for the PBP 2015 ride is 90 hours. 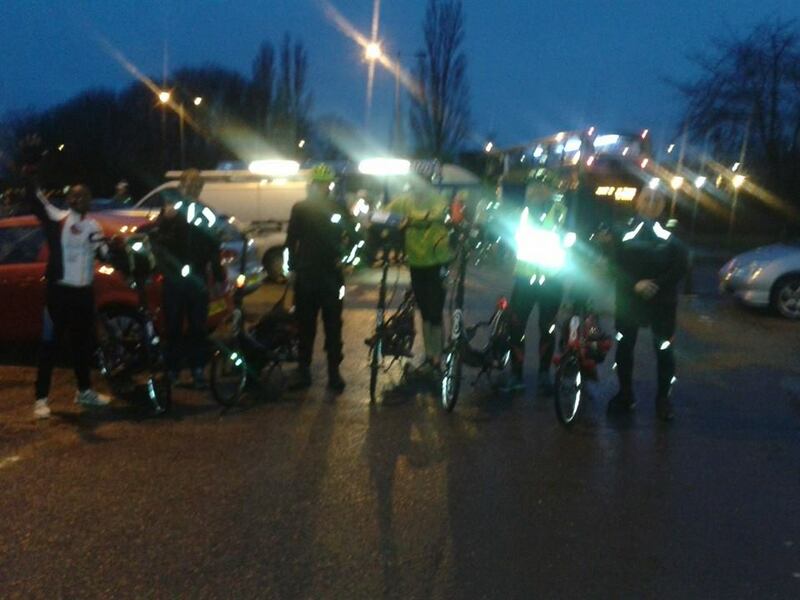 After what can only be described as a series of heroic performances, 6 members of the ElliptiGO Ultra-Endurance Team have completed the Paris Brest Paris 1,230-km Audax challenge within the 90hr time-limit. A listing of these athletes is shown below, with their event registration number (in red). The link to their team website profile has each individual athlete’s results table (with a complete breakdown of their performance against the clock). *Read Idai’s full event report for PBP 2015 on this link. *Read Stuart Blofeld’s report on this link. *Read the official Press Release on this link. *Listen to the Team Interview on the Over the Top Ultra-cycling Podcast. Team ElliptiGO riders can be tracked (live) during the PBP 2015 ride using their frame numbers. Below is a list of our 8 team riders – each with a link to their profile and also a tracking link via their PBP frame number. You can click on the rider’s name to link to the rider’s full profile and you can click on the rider’s frame number (highlighted in red) to track the rider during the event. Additional live reports during the ride will be posted on Idai’s Facebook Timeline. Alan McDonogh, Andrew Nuttall, Billy Grace, Bill Pinnell, Carl Nanton, Jim Cremer, Idai Makaya and Stuart Blofeld. It has been a fantastic and insightful journey for all the incredible athletes who took on this epic journey and all the riders who achieved randonneur status during this challenge have a great deal to be proud of – whether or not they were able to complete the full qualification for PBP 2015. 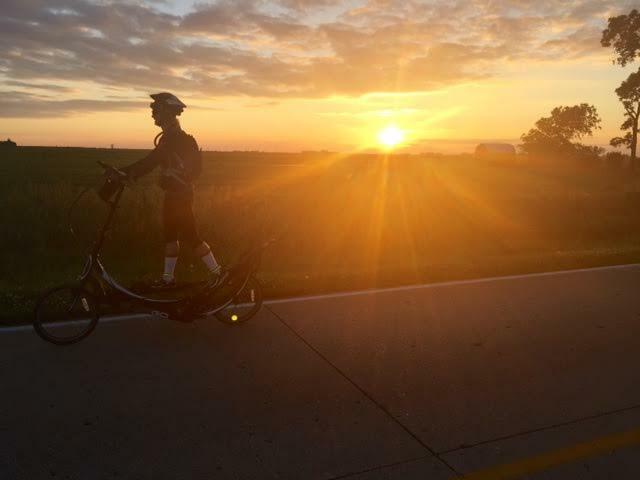 Overnight on 4 July 2015 four riders from the ElliptiGO Ultra-Endurance Team took on a long training ride. They combined the 113-mile Dunwich Dynamo mass participation cycling event (from London to Dunwich) with an informal return trip from Dunwich back to London. 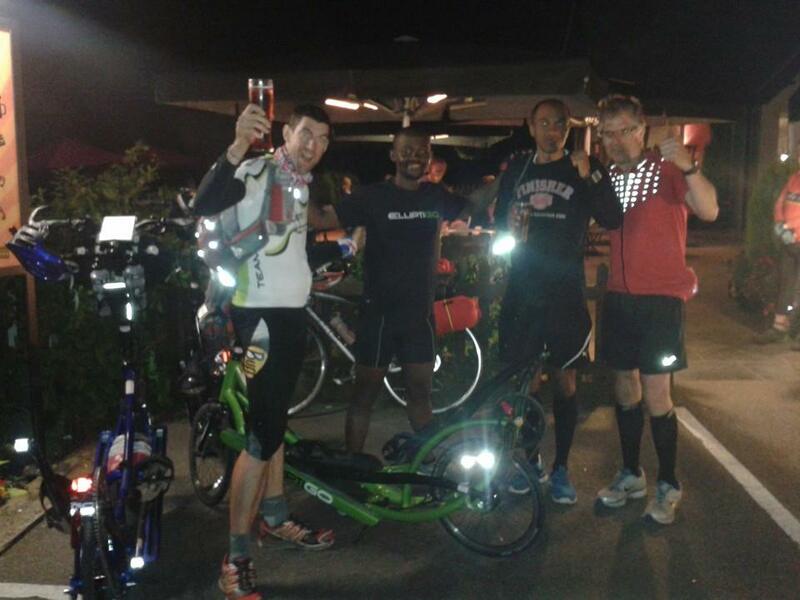 Carl Nanton, Henry Dodwell, Idai Makaya and Stuart Blofeld completed the 226-mile training session in 22 hours. A video of their ride can be viewed on the link above. Penny Fogel has successfully continued her qualification for PBP 2015 with the completion of a 300km Brevet on 13 June 2015. 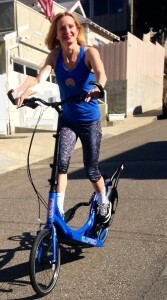 This time she had ElliptiGO team mate Jim Cremer with her for company. 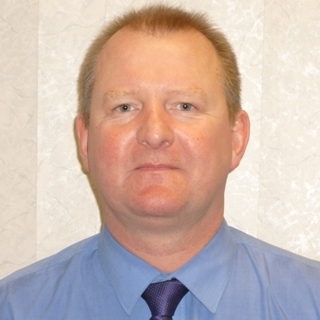 Jim has already completed his PBP 2015 qualification and did the 300km ride mainly as a training session – which also gave him the opportunity to share his extensive experience with Penny. Penny has now completed 3 of her 4 qualification events for PBP 2015 and is left with the task of taking on a 600km Brevet next weekend (which she must complete within 40 hours). Jim enjoying the 300km ‘training ride’! In another weekend of tough ElliptiGO riding for Team ElliptiGO members, Andy Nuttall and Penny Fogel successfully completed yet another round of qualification events for PBP 2015. Andy beat the 40 hour time limit for his 600km Audax qualification ride (thus completing his full qualification for PBP 2015) and Penny also beat the 27 hour time limit in her 400km Audax event. 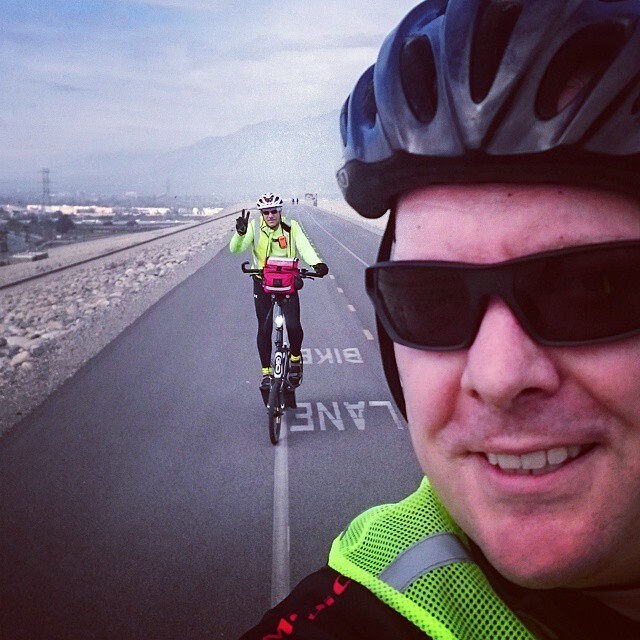 What’s remarkable about both these riders is the fact that barely a year ago Andy was taking his first ever ElliptiGO test ride – completely out of shape and clinically obese. He barely managed to ride 4-miles in that first ride. So for him to be able to ride about 400-miles, just a year later (now in perfect shape and at his ideal bodyweight), is an incredible achievement. Similarly, just 6 months ago (around Christmas time in 2014) Penny was just taking delivery of her new ElliptiGO (which she’d bought specifically with the ambitious aim of qualifying for PBP 2015). She’s come a long way in the last 6 months, now having completed 200km and 400km Audax qualifiying rides. But she still has a tough fortnight ahead of her, in which she will attempt to complete a 300km Audax ride (which she will need to complete within 20 hours) and then just a week later a 600km Audax ride (which she will need to complete within 40 hours). The full team qualification status table, in relation to the Paris Brest Paris 2015 challenge, can be seen on this link. On the weekend of 30-31 May 2015 five riders from the ElliptiGO Ultra-Endurance Team completed the famous Windsor-Chester-Windsor Audax; the oldest and best-known 600km Audax event in Britain. The ride was brutally undulating and the rainy, windy conditions made it an even bigger challenge. The team rode resolutely throughout, with each rider following a different plan of execution (ranging from 3 hours of sleep, at half-way, to no sleep at all). Despite the differences in approach, all the riders were together at the half-way point and also right at the end of the ride (finishing in times ranging between 38.5 hours and 39.3 hours). 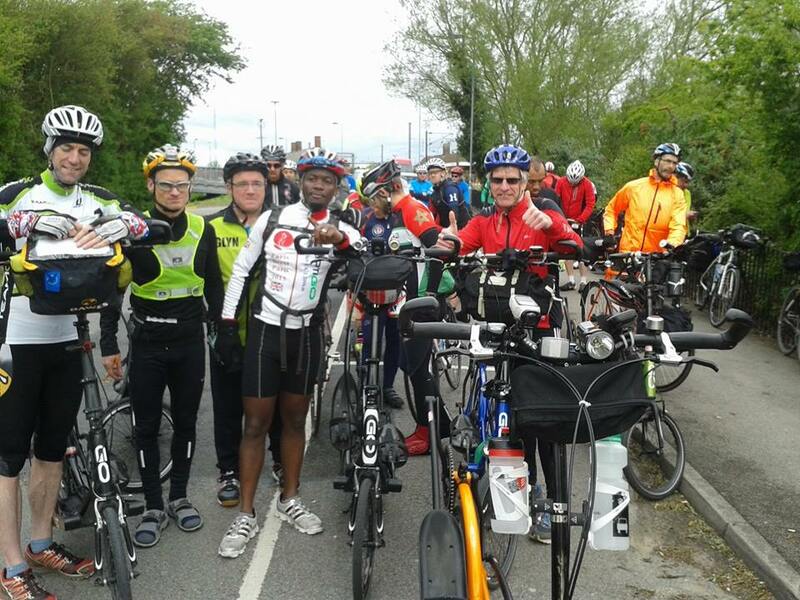 Taking on this PBP 2015 qualification ride were Alan McDonogh, Billy Grace, Carl Nanton, Idai Makaya and Stuart Blofeld. Their success brings the tally of PBP 2015 fully qualified riders in the ElliptiGO team to 7. You can see the team’s qualification status on this link – and a short film/video of this event (including coverage of the ElliptiGO Team) can be viewed here. Andrew Nuttall is the latest member of the ElliptiGO Ultra-Endurance Team to complete a 400km Audax qualifying ride for PBP 2015. 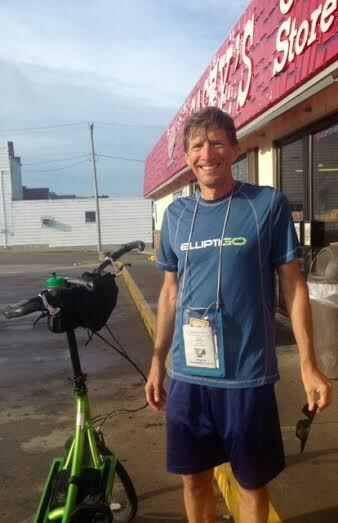 He completed the Moors & Wolds 400km Audax in about 23 hours and 20 minutes, as the sole ElliptiGO rider in the event. The current qualification status of the team can be seen on this page. 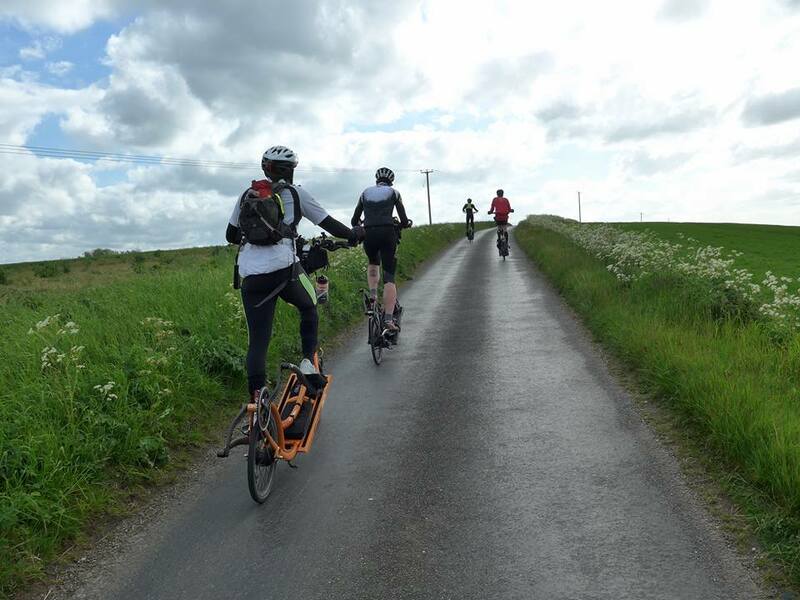 5 Riders in the ElliptiGO Ultra-Endurance Team completed the Asparagus & Strawberries 413km Audax (256-miles) starting and finishing in Manningtree, Essex. They were Alan McDonogh, Billy Grace, Carl Nanton, Idai Makaya and Stuart Blofeld. This ride took the team riders (who rode in a group) 23 hours and 25 minutes in total to complete, well under the 27 hour time-limit. Also successful over the 400km qualification distance, on the same weekend, was Shane Cliffe (who rode his ElliptiGO in a separate 400km Audax event, near Preston). You can watch a video of Shane’s event on this link and the video of the rest of the team’s ride can be viewed on this link. Penny Fogel (the only lady in the ElliptiGO Ultra-Endurance Team) has successfully completed her first (200km) qualification event for the 1,200km Paris-Brest-Paris Audax challenge which we’ve all been training for this year. Every time one of us in the team completes a qualification event on an ElliptiGO it’s a big moment – but probably especially so in Penny’s case – because she only bought an ElliptiGO specifically to take on the PBP 2015 challenge (and she first rode it last Christmas, just 4 months ago). You can read more about Penny on her Team Profile page. 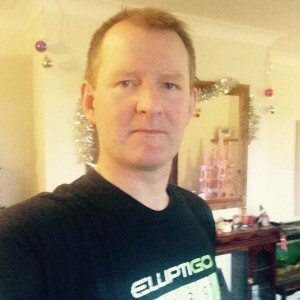 Bill Pinnell has become the 2nd ElliptiGO Ultra-Endurance Team member to complete his qualification for the PBP 2015 ride, after completing a 600km Audax ride (in 38 hours) from 25-26 April 2015. Bill had to battle unfriendly (gale-force) winds on the ride, as well as the usual fatigue issues – and an existing tendon injury in his knee. You can view his GPS data for this ride on this link. He joins Jim Cremer as a fully qualified rider in the PBP 2015 Audax and will aim to maintain his fitness until the big ride in August 2015, while the rest of the team continue with the qualification process. The full team qualification standings can be viewed on this page. 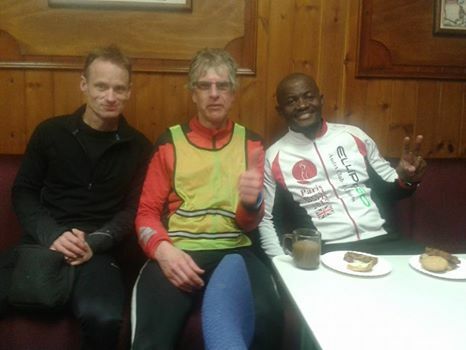 Alan McDonogh, Billy Grace and Idai Makaya completed a 300km qualifying ride for PBP 2015 when they rode from Alfreton to Sutton-On-Sea and back again on their ElliptiGO bikes. There was a headwind for the first half of the event and a tailwind for the second half. It took them 17.5 hours to complete the challenge and the GPS map and pace data for their ride can be viewed on this link. 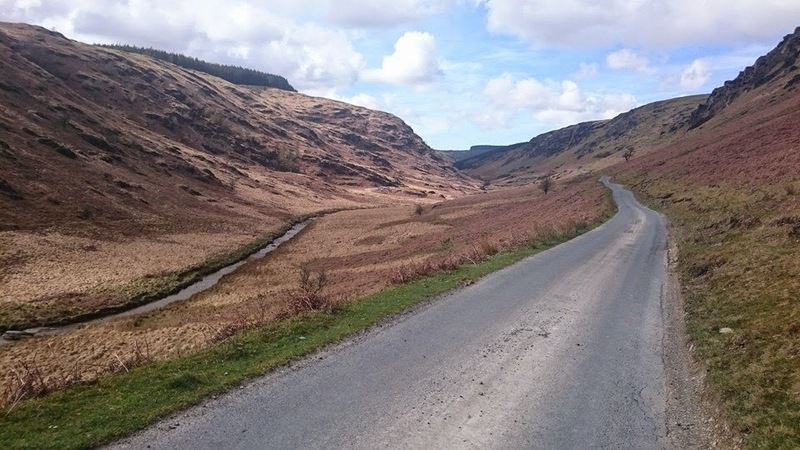 Team training and qualification continued into April with Stuart Blofeld taking on a 300km Audax ride in Wales, tasked with covering the 300km distance within 20 hours (and conquering about 15,000 feet of climbing in the process). Stuart made it through in 16.5 hours – on a very challenging course, in very challenging conditions – so the outing was a complete success. 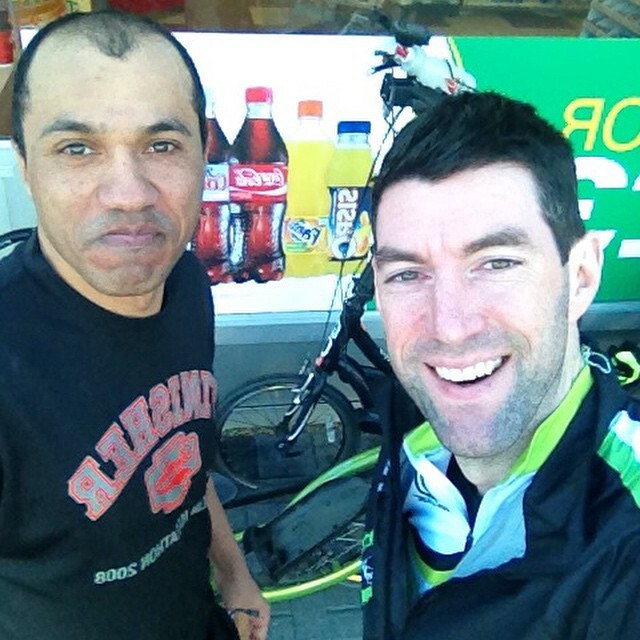 You can read Stu’s account of the ride (and his learnings) on this link. Jim Cremer completed a 600km Audax ride on the Easter Weekend to become the first member of the ElliptiGO Ultra-Endurance Team to complete his qualification for Paris Brest Paris 2015. Jim had to brave tremendously challenging conditions, with extreme heat on both days of the ride, but he was able to pull though in 38.25 hours for the 600km ride – safely under the 40 hour Audax 600km time-limit. On the final weekend of March 2015 nine team riders were in action in ElliptiGO Audax rides as the quest for PBP 2015 qualification continues. 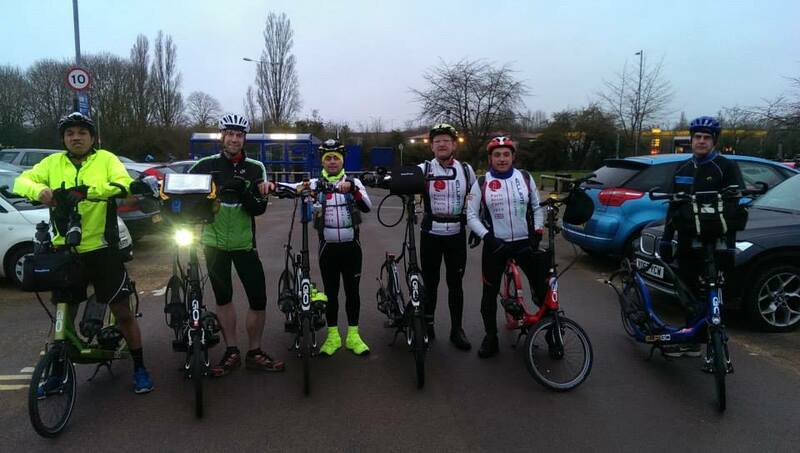 On 29 March Alan McDonogh, Andrew Nuttal, Carl Nanton, Shane Cliffe and Stuart Blofeld completed The Dean 300km Audax in 19 hours in Oxfordshire, the next step in their PBP 2015 qualification. 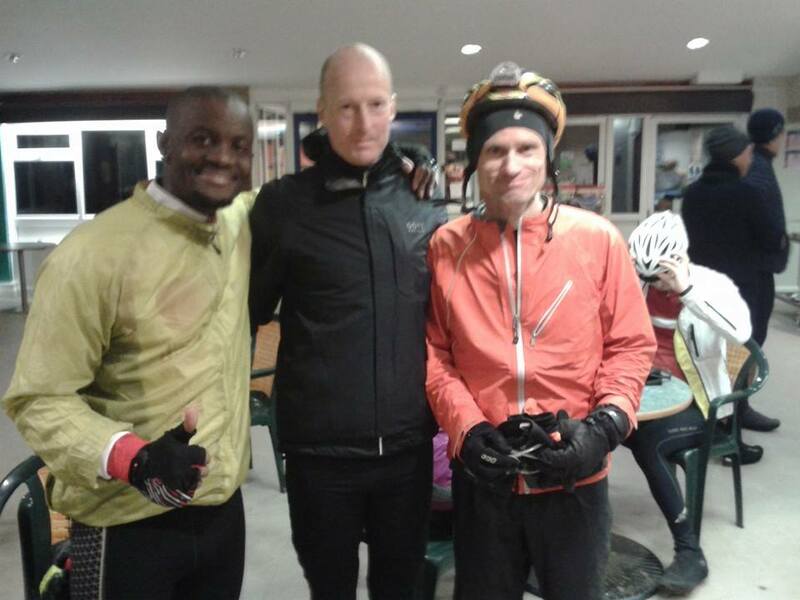 Later that same day Billy Grace, Henry Dodwell and Idai Makaya completed the Start of Summertime 210km Audax ride in Hertfordshire. The ride was very hilly and took place in stormy weather conditions (with winds gusting at speeds as high as 50 mph) on 29 March. 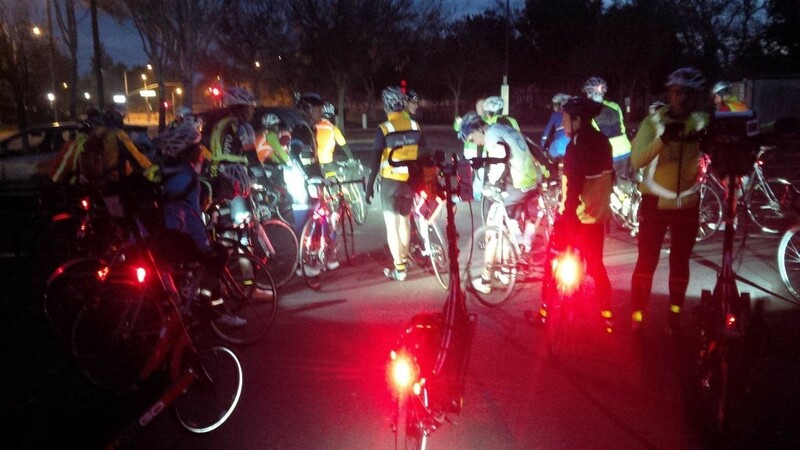 Here is a full ride report from Stuart Blofeld, covering The Dean 300km Audax. Another successful PBP qualification weekend has passed, with marathon runner Simon Newton‘s completion of his first 200km Audax ride on the ElliptiGO, starting his qualification run for PBP 2015. Simon rode without any team mates in his first-ever Audax cycling event and succeeded in beating the required 13.5 hour time limit. Well done Simon! Stuart Blofeld and Carl Nanton had completed the Horsepower 200km Audax PBP 2015 qualification brevet event in Essex, Carl’s first PBP 2015 qualifier in the campaign, but Stu’s second 200km ride this year. 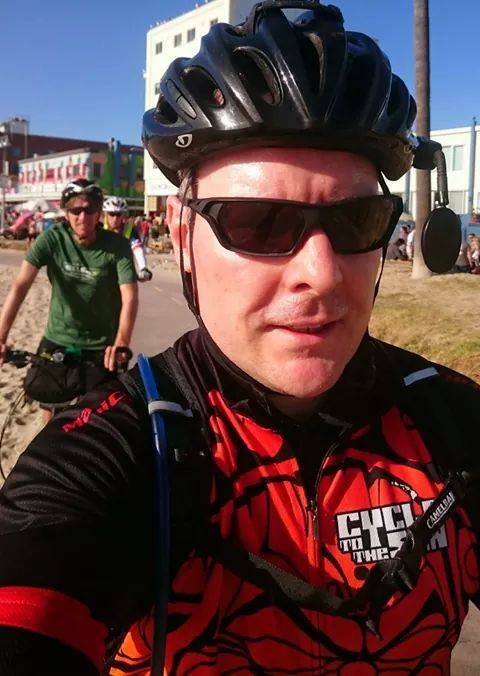 You can read Stu’s more detailed account of that ride on this link. 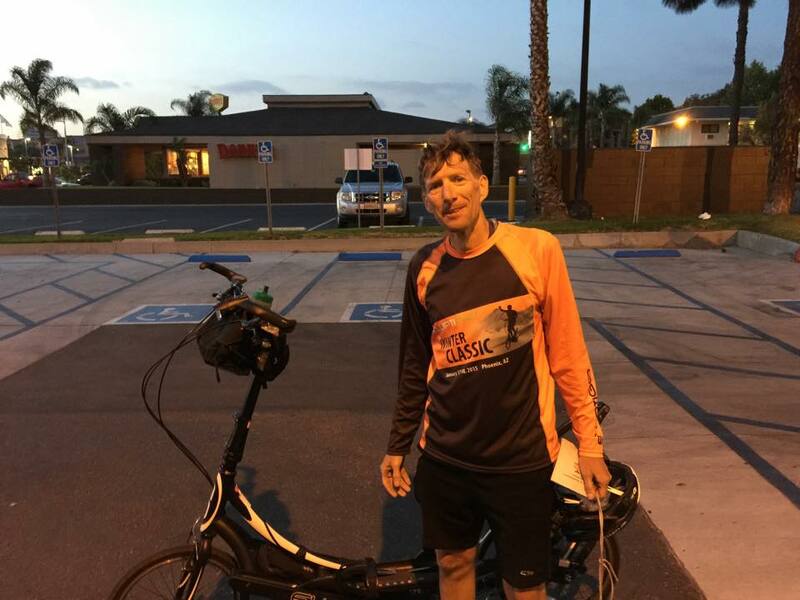 Jim Cremer has completed his 300km qualifying event for Paris Brest Paris 2015, at the Willow Park 300km Audax (in Texas), becoming the 3rd member of the ElliptiGO Ultra-Endurance Team to get past their 300km qualifying event in the qualification Super Randonneur (sr/r-12) series which required to be able to enter PBP 2015. Bill Pinnell and Steve Cook have completed their 300km qualifying ride in the Paris-Brest-Paris 2015 campaign, in about 18.5 hours, becoming the first members of the ElliptiGO Ultra-Endurance Team to complete their 300km PBP qualifiers. 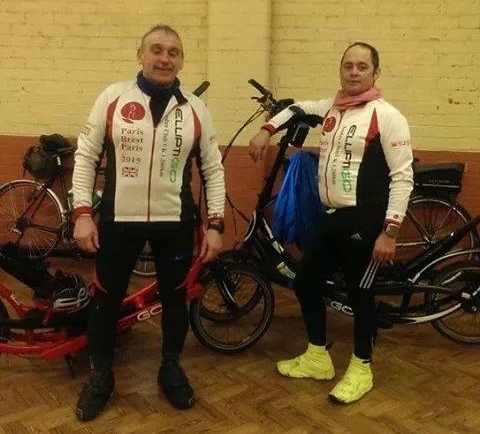 Most of the team are scheduled to ride their 300km events in March, April, or even May 2015 – but Bill and Steve have been in training for a few months and wanted to get it out of the way as soon as possible! You can see Bill’s ride statistics on this link to Strava. 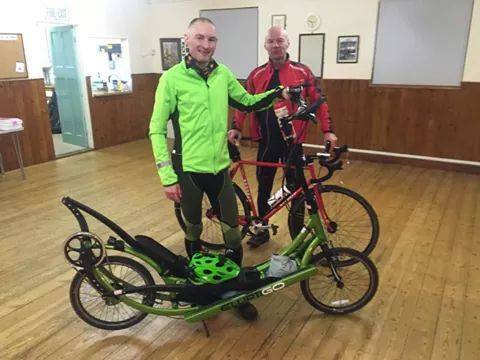 Shane Cliffe became the 13th official ElliptiGO randonneur in the ElliptiGO Ultra-Endurance Team when he and Chris Whitlock completed the Stockport 200km Audax together in 11 hours and 43 minutes (well within the 13.5 hour Audax time-limit for the event). Cyclists are classed as “randonneurs” if they can complete an official Audax cycling event of 200km distance – or longer – within the stipulated Audax time-limit for the distance. 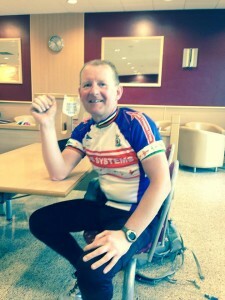 The Stockport 200km Audax event was an official qualifier for PBP 2015 – so Shane joins Chris and 8 other Team members who have already completed the first of their 4 qualifying events for PBP 2015 within January 2015. All riders need to complete official 200km, 300km, 400km and 600km Audax events, within the standard Audax time-limits, to qualify to ride in the 1,200km PBP 2015 Audax. Check out this interview from ITV News! 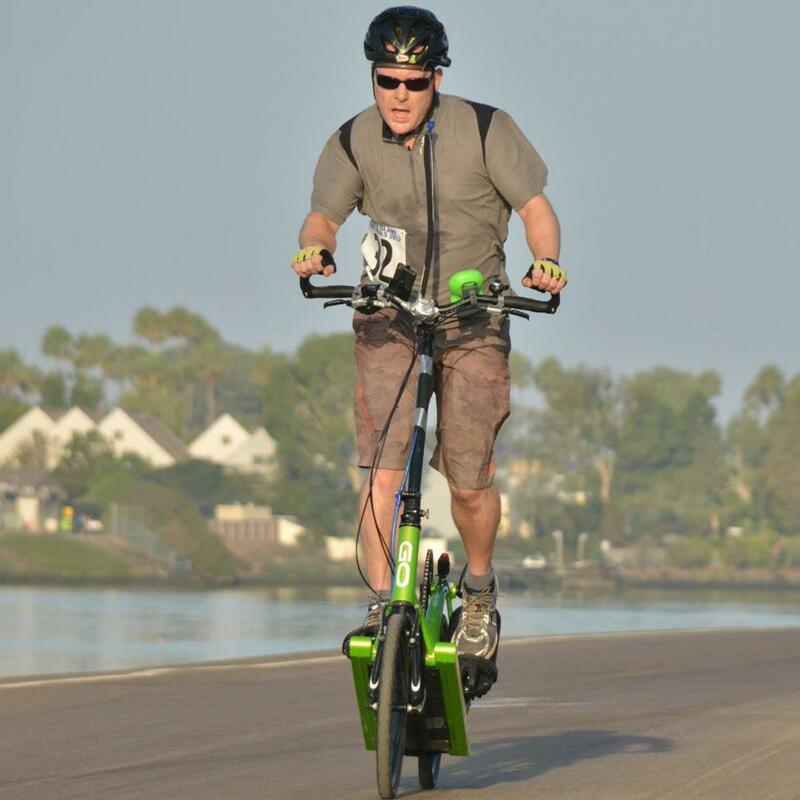 Andy has lost about 30 kilos in weight (65 lbs) in the past year – and has gone from totally unfit to covering 130-miles on his ElliptiGO in 12.5 hours, during his first qualifying event for PBP 2015. Three more ElliptiGO Ultra-Endurance Team riders completed their first 200km qualifying ride in the PBP 2015 campaign. Bill Pinnell, Jim Cremer and Steve Cook rode together in the Views of Anacapa 200km Audax and completed the ride within the stipulated 200km Audax time-limit of 13.5 hours. 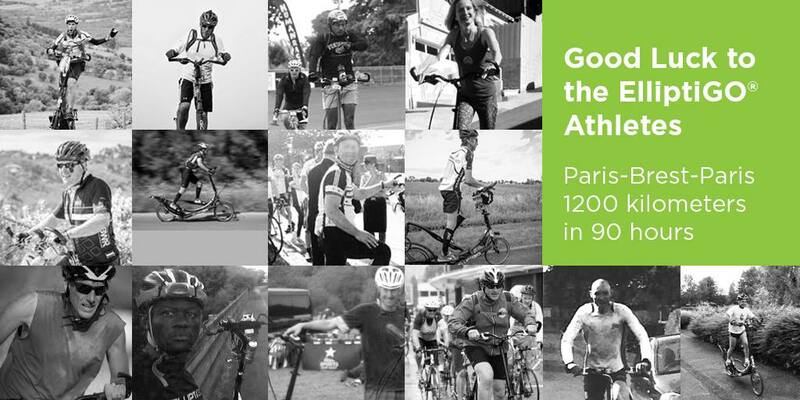 This means we now have 12 official ElliptiGO “Randonneurs” in the team (long-distance cyclists who complete an official Audax 200km – or longer – event are termed as “Randonneurs”). The rest of the team continues their training with a view to have started qualification by April 2015. Six ElliptiGO Ultra-Endurance Team Members Completed the 210km Poor Student Audax long distance cycling event in Oxford. Alan McDonogh, Andy Nuttall, Chris Whitlock, Henry Dodwell, Idai Makaya and Stuart Blofeld rode the event together and all six completed the ride within the allocated 13.5 hours Audax time-limit for 200km events. It was their first PBP 2015 Campaign Qualifying Ride. Read the event report and watch the video report, on this link. Alan McDonogh, Carl Nanton, Stuart Blofeld and Idai Makaya took on the challenge of riding the Flatlands 600km Audax as a team, tasked with covering 390-mile event distance within the official Audax 600km time limit of 40 hours – on ElliptiGO Bikes. 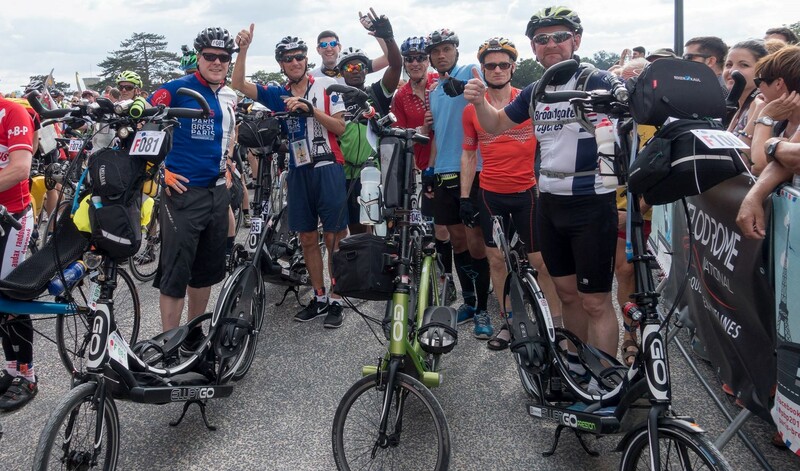 This was the first step in the campaign towards building the ElliptiGO Ultra-Endurance Team which is now training to tackle the 750-mile Paris-Brest-Paris 2015 ride. Read the Flatlands 600km Audax event report – and watch a short film of this very long ride – on this link. The epic London Edinburgh London 1400km Audax ride was the ultimate long-distance cycling ‘proving ground’ for the ElliptiGO elliptical bike. Alan McDonogh, Idai Makaya and Steve Cook were the pioneering members of the ElliptiGO Ultra Endurance Team when they trained to take on this imposing 900-mile ride within the 116 hours & 40 minutes time-limit. Their audacious achievement has led to the formation of the much larger PBP 2015 ElliptiGO Ultra-Endurance Team. 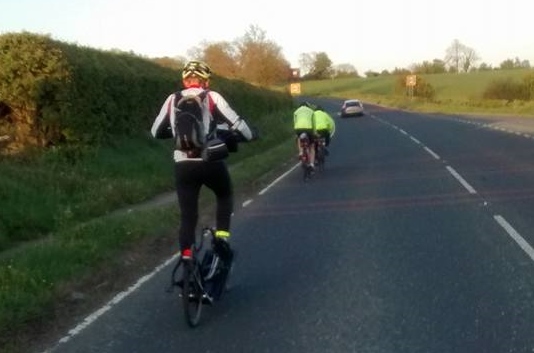 You can read Idai’s full LEL 2013 report on this link and you can also watch a 4-minute summarised video of their actual ride on the YouTube link above.